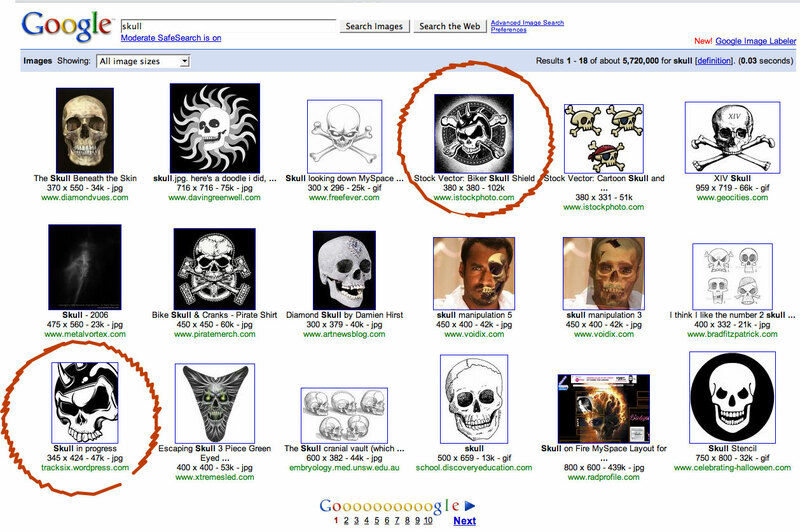 The “Biker Skull” I have up for sale at iStockphoto is the 4th overall search result for the term, “skull”. Shortly thereafter the version of the same skull from my blog is pictured as well. How rad is that? ~ by tracksix on May 18, 2008.